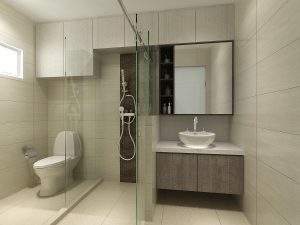 A private sanctuary where we begin and end each day. 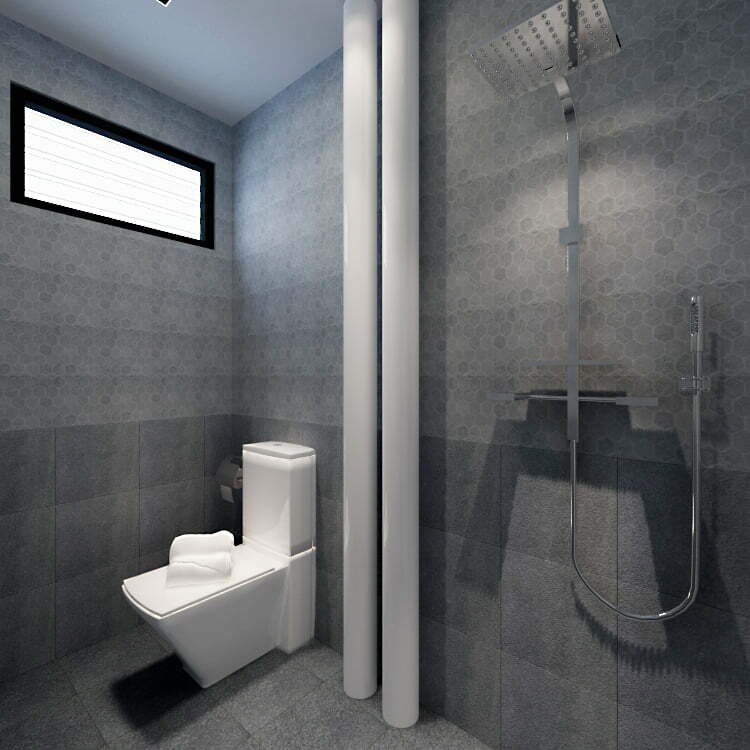 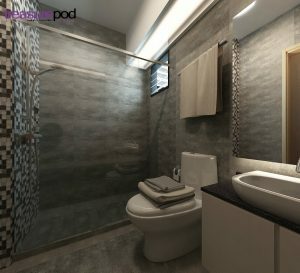 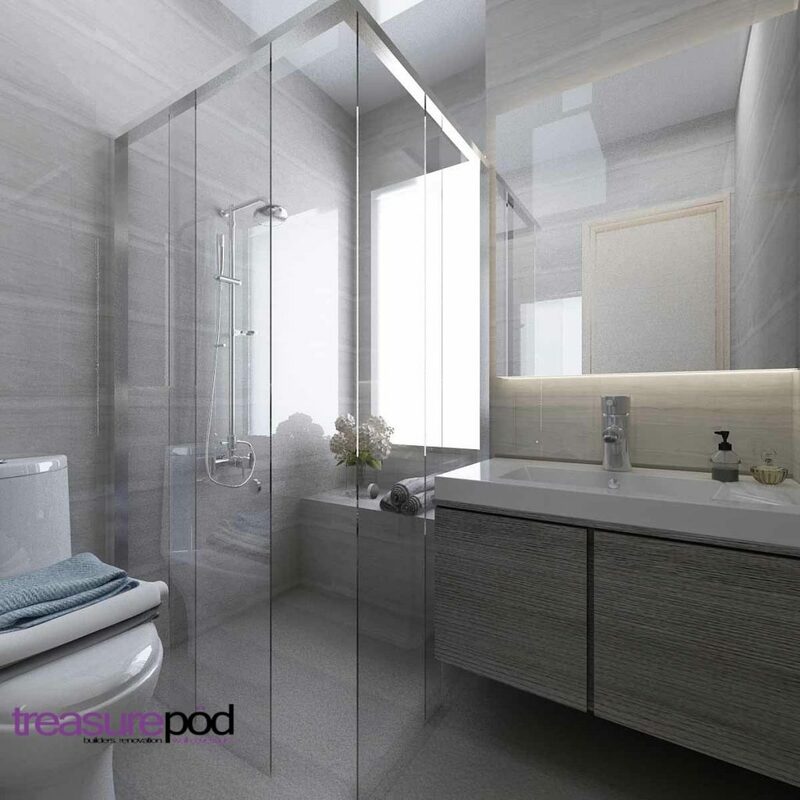 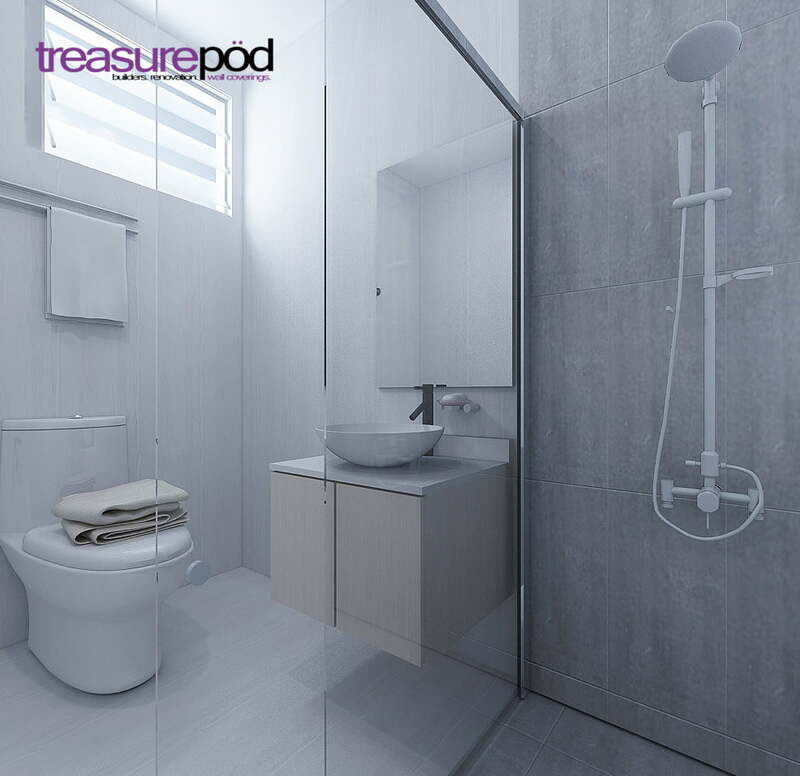 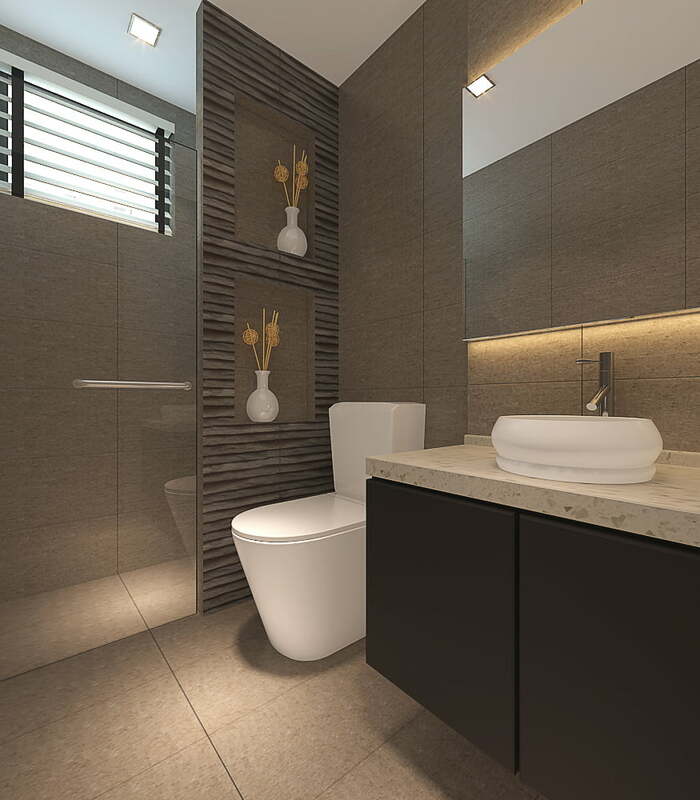 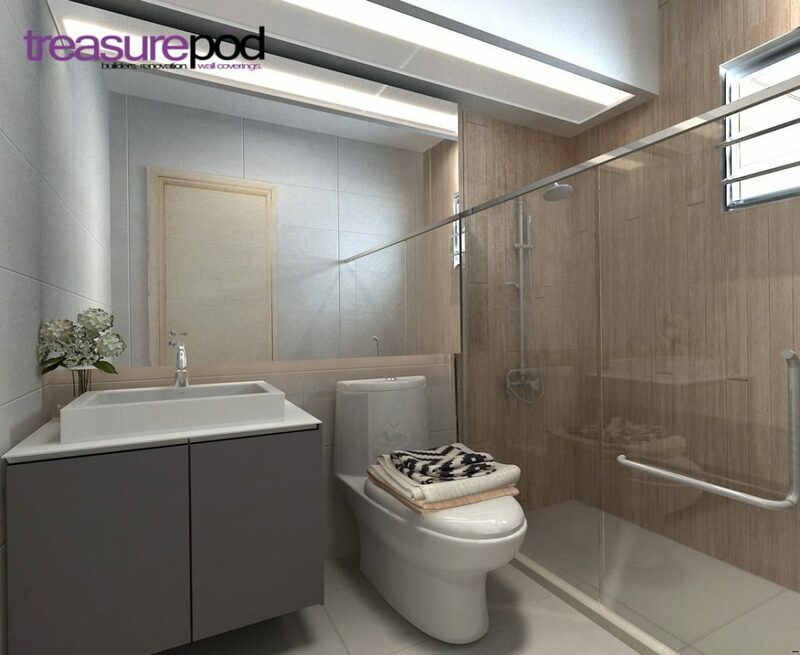 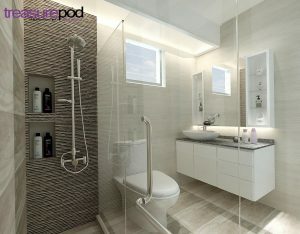 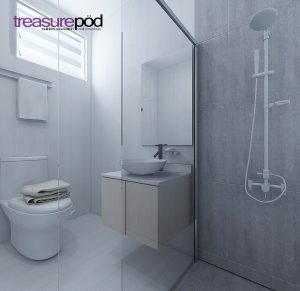 Creating distinctive and functional bathroom is Treasure Pod’s forte. Being the smallest room in the house, it can look spacious and yet practical, just by applying these rules. 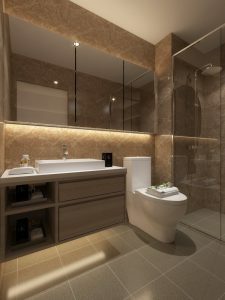 Bathroom lighting is one of the most important designing elements. 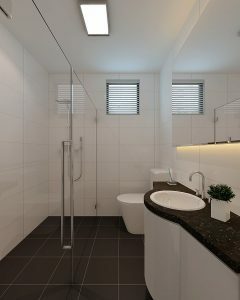 Natural light is always desirable, however if there is not possible, light fittings will do the job too. Ceiling mounted lighting and task lighting are essential fixtures to create the different moods require in different part of the day. LED lights that come with dimmer provide flexibility in lighting adjustment. 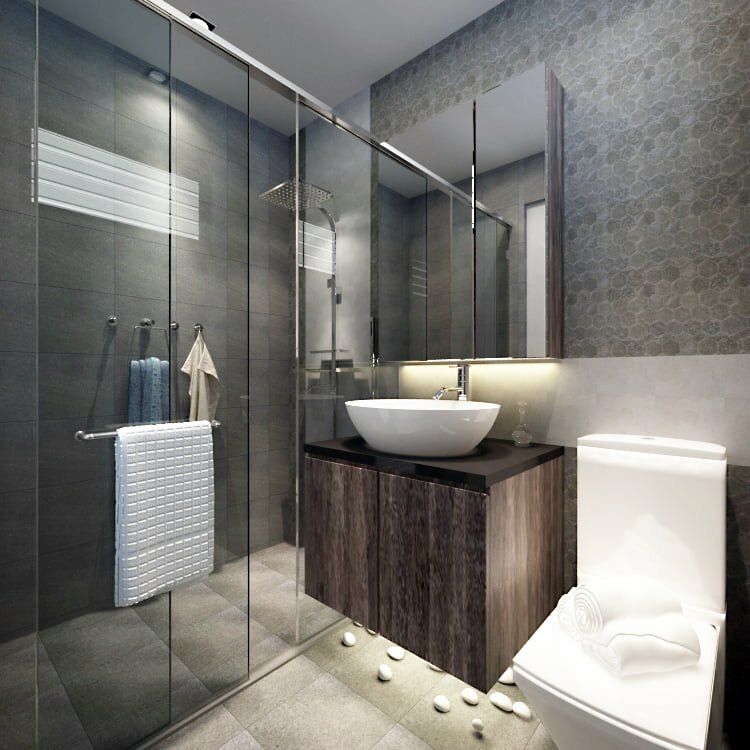 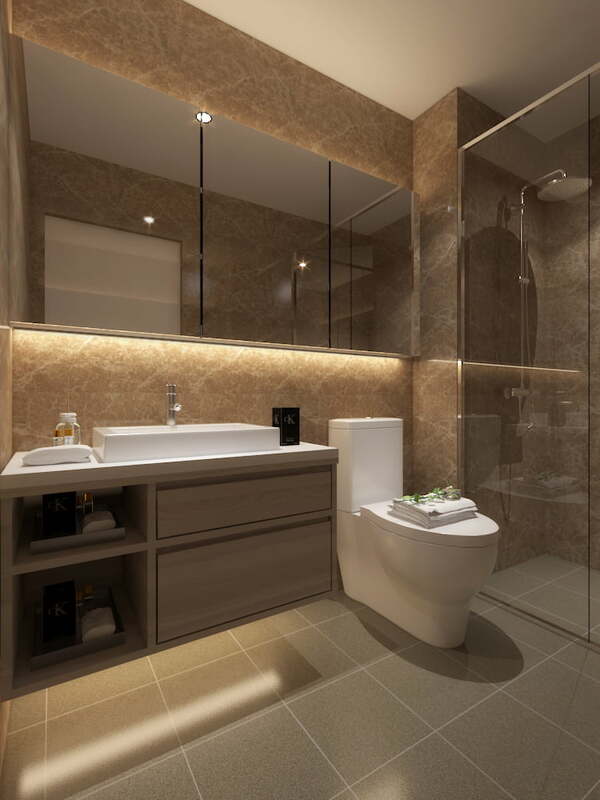 A well-lit bathroom definitely looks more spacious than it actually is. 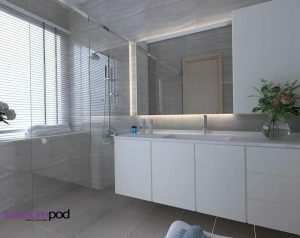 Mirror being the fundamental fixture of a bathroom, it has the ability to create illusion of space. Having a bigger mirror in the bathroom is undeniably the right choice to increase the space visually. 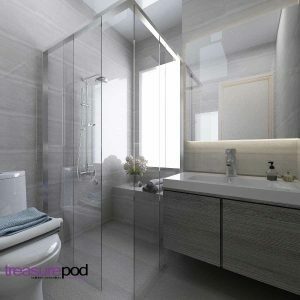 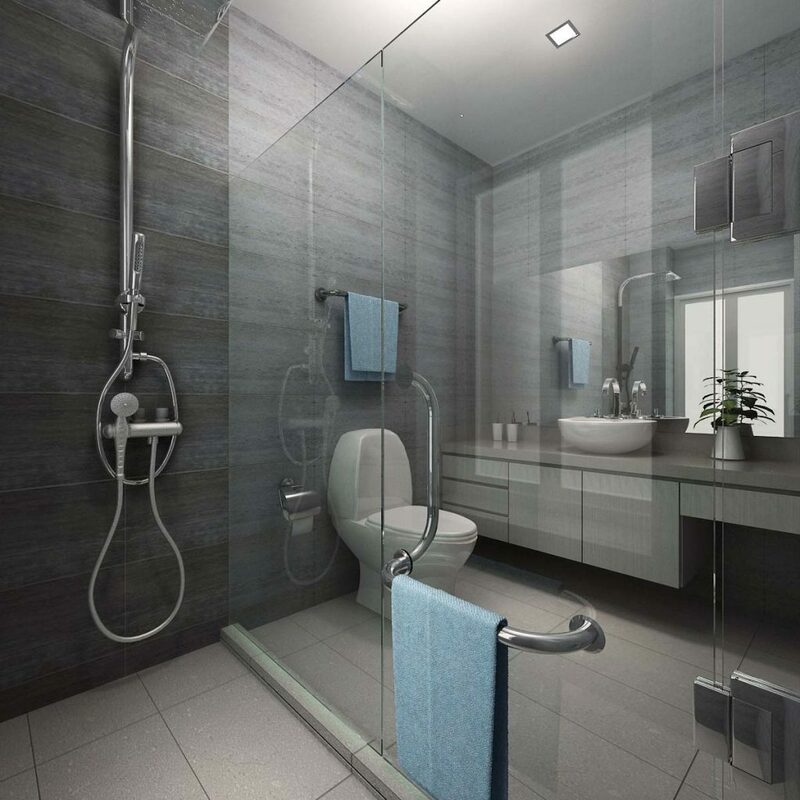 Clear glass shower screen is usually chosen over frosted glass, if privacy is not a concern. Whilst hinged (swing) door shower screen requires a tad more clearance space, sliding door is usually chosen for small bathroom. 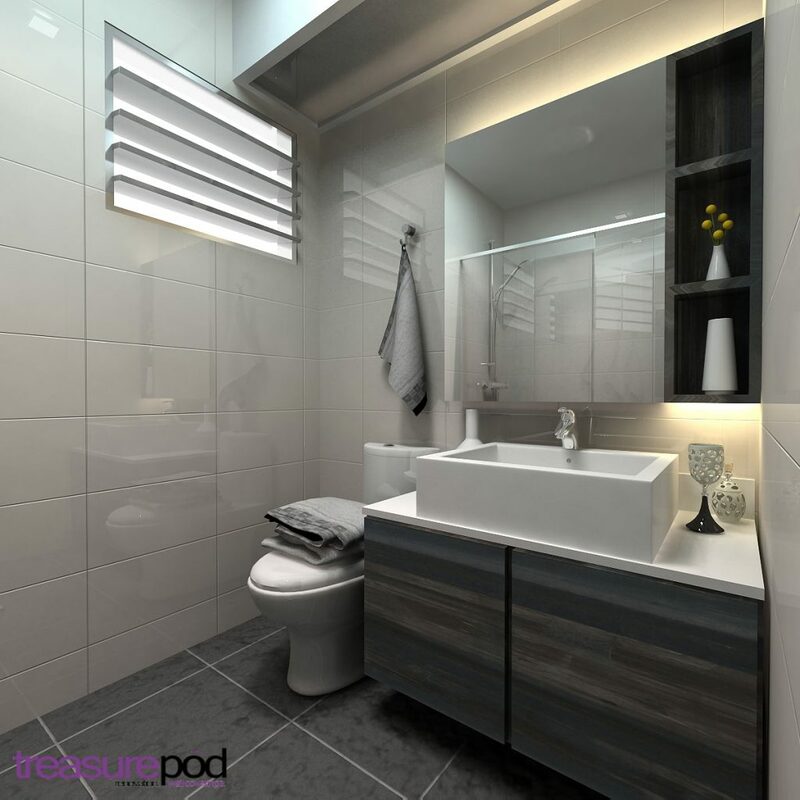 Making use of the underutilized vertical space to create storage for must-have items. 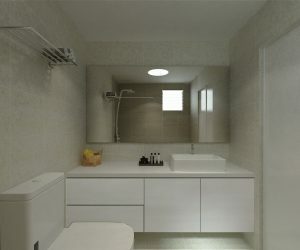 Wall hung mirror cabinet above vanity is a clever solution which is essential and functional at the same time. 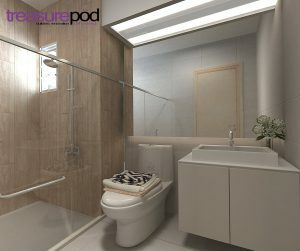 Add floating shelving or storage cabinet above water closet creates extra storage without compromising on legroom space. 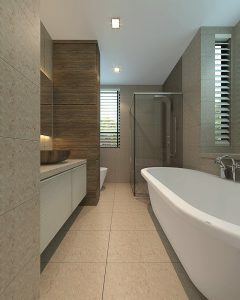 Sizes, shapes, styles & colours of wall/floor tiles play an important part in bathroom’s design. 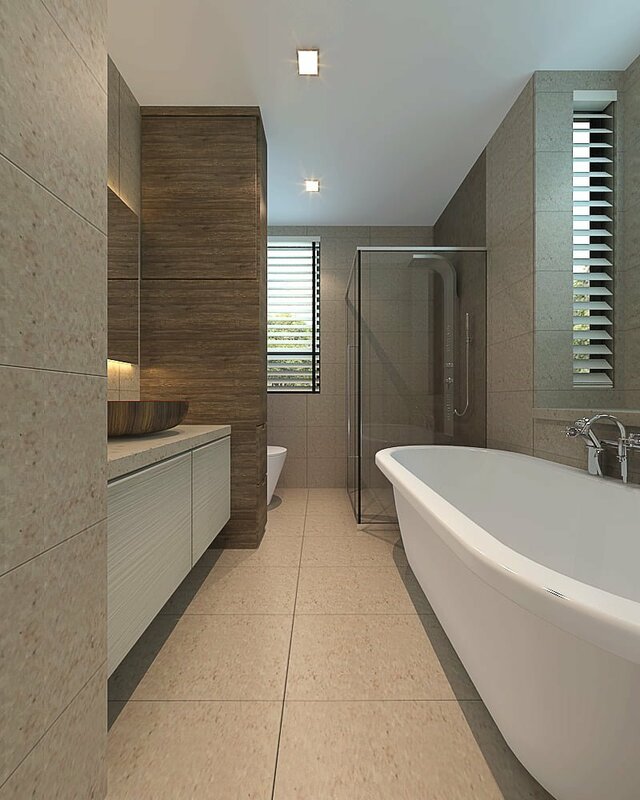 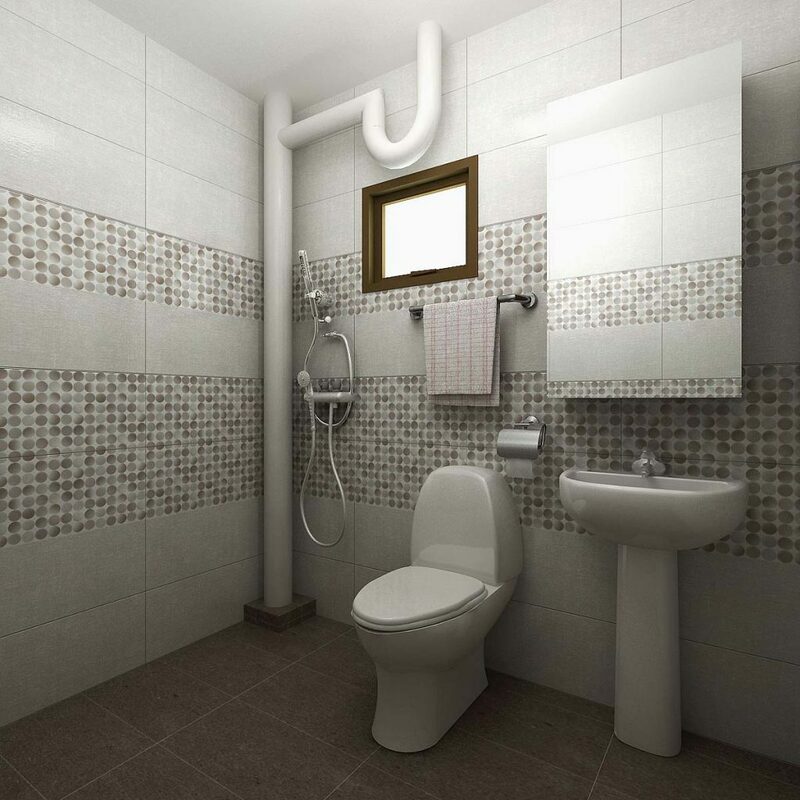 Larger tiles, preferably rectangular in shape and in light colour, give an illusion of wider bathroom. Restrict fanciful designed wall tiles to 1 panel of accent wall, too much of prints will have crampy effect. 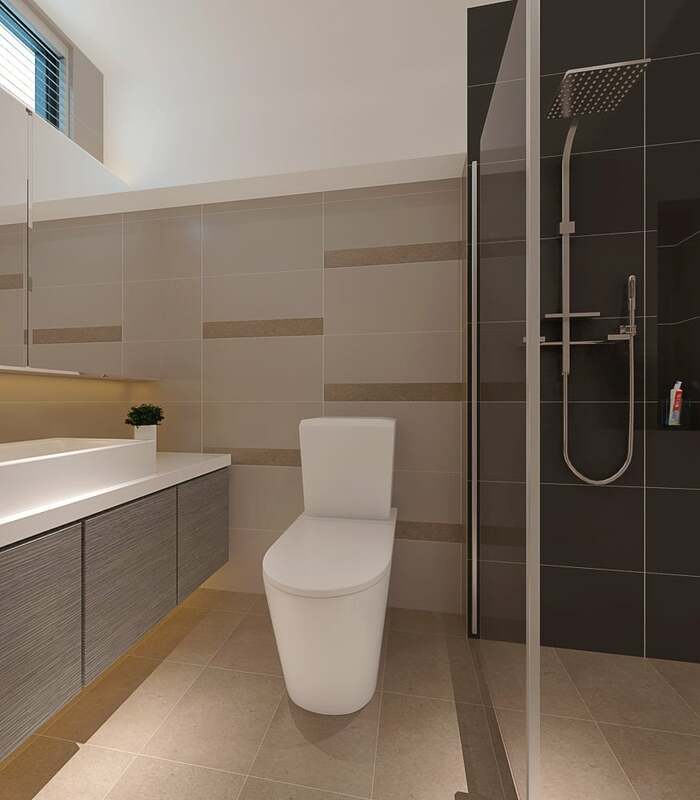 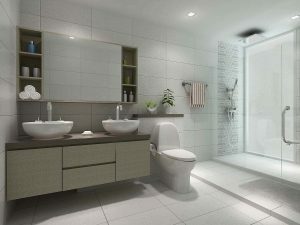 We have compiled our inspiring bathroom designs in one place, you can definitely find one that suits your style & budget. 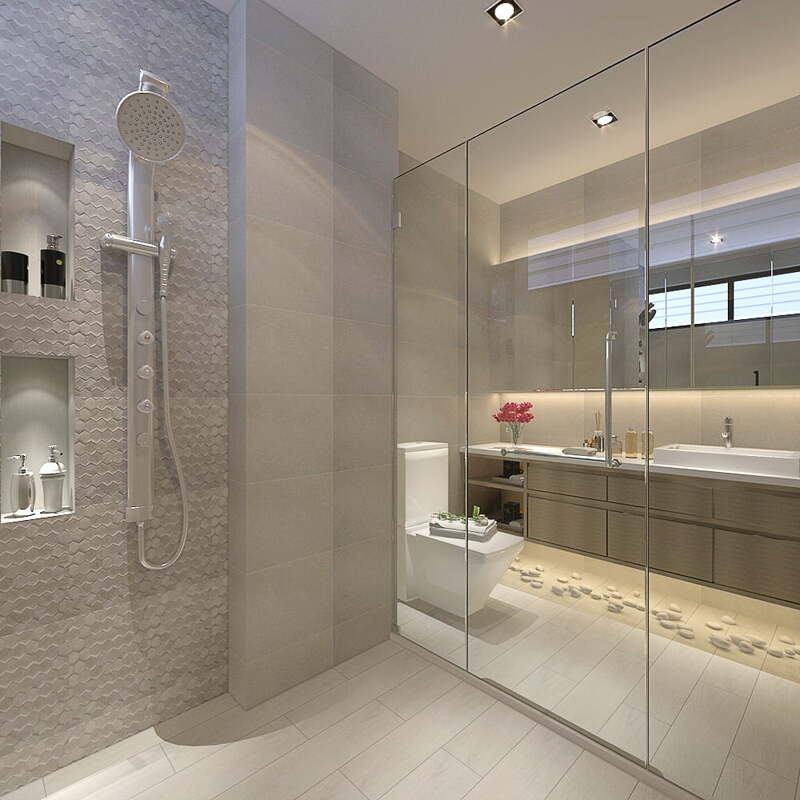 See something you like or have ideas for your perfect kitchen? 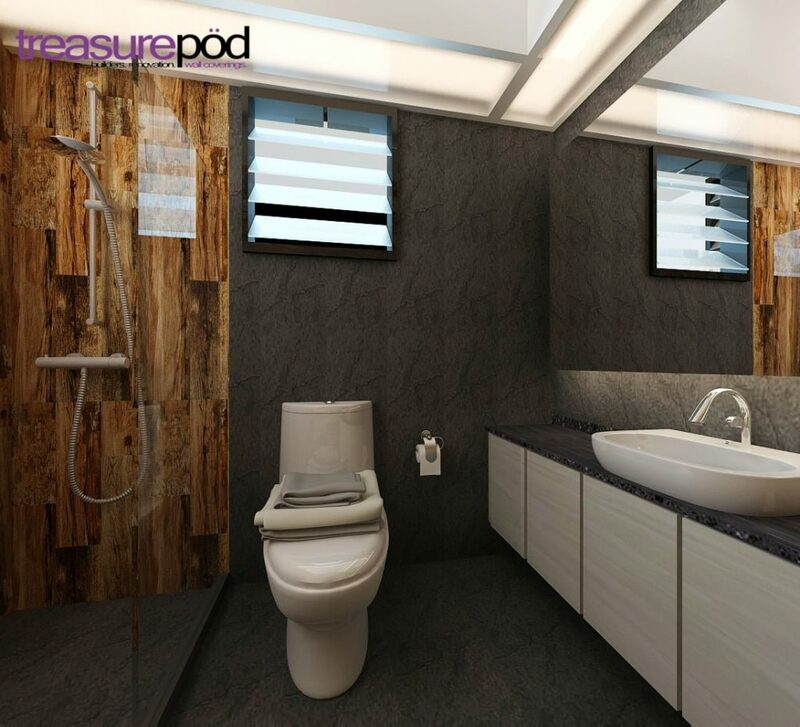 Call Treasure Pod at +65 91155690 or send us an enquiry right now for our latest promotions and value-for-quality packages!